A new report by eMarketer highlights mobile’s expanding role in US commerce. Of particular interest, mobile’s presence in brick and mortar continues to increase. 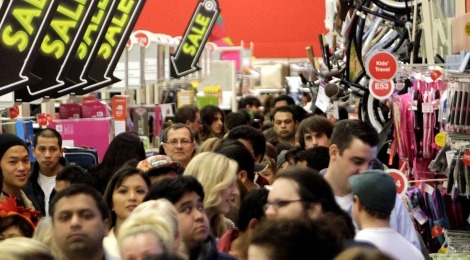 This bodes well for iBeacon as a focus for the nation’s top retailers this holiday season. What’s driving this growth? Consumers are getting more comfortable buying on their mobile devices and using them in-store. eMarketer’s study indicates that 41% of smartphone users used their device to make at least one purchase in 2014. Mobile Commerce, or mCommerce, now accounts for 1.2% of total retail sales volume in the US. While that may seem small, it equates to nearly $60 billion in sales during 2014 alone. Its projected to double by 2017. Mobile shopping becomes an even bigger deal during the busy holiday season. According to eMarketer’s report, Black Friday was the season’s biggest mobile sales day, as shoppers used their phones in-store to make purchases while waiting in long lines. What’s the big deal? 74% of US shoppers now use their phones in-store in some fashion, whether it be to do product research, check shopping lists, browse coupons, or access loyalty cards. How does the increased presence of mobile in retail affect the bottom line for retailers, though? eMarketer estimates that mobile shopping will influence between a quarter and a half of all US retail sales during the 2014 holiday season. Retailers are under immense pressure to adapt to the changing landscape in consumer behavior, with razor thin margins and low overhead digital competition. iBeacon as an emerging technology provides retailers a tremendous opportunity to adapt the brick and mortar experience to today’s mobile-savvy shopper. How? We’ve identified three main areas to focus on for retail. Improve the shopper experience: Retailers can use iBeacon to decrease friction and empower shoppers to use their phones in-store – something they’ve already demonstrated an inclination to do. The concierge-like beacon experience of the not-so-distant future will run on an infrastructure of location awareness, enabled by the likes of iBeacon and sister technologies. Retailers who understand where there customers are in-store can provide a better shopper experience. Understand shopper behavior: eCommerce has a great advantage when it comes to understanding shopper behavior and optimizing the experience. Using cookies, online shops like Amazon can track shopper behavior through the purchase funnel and optimize constraints to drive revenue. Retailers will be able to use beacons in a similar way in order to better understand their shopper to optimize the path to revenue. A new channel for Advertisers: Mobile, specifically hyper-local, advertising is a new channel that’s caught the keen interest of the world’s largest brands. These brands have colossal advertising budgets and are looking for new channels to throw money at. Outdated channels like radio and print will inevitably lose volume as advertisers shift focus towards mobile. Retailers will be able to use beacons to monetize their store space in a new way by enabling brands to talk to consumers in-store, closer down the purchase funnel. Beacons still have some obstacles to overcome for mass adoption in the retail space. The current fragmentation in the App ecosystem is particularly troubling for retailers looking into iBeacon. Beacons as a platform approach will continue to gain momentum. Companies like inMarket, which boasts over 40 million unique users on its Mobile to Mortar™ iBeacon Network, have put tremendous effort into consolidating apps under one umbrella. The benefit to retailers is clear – a one-stop solution to massive reach. We made the argument for retailer adoption back in April. This holiday season seems to be the right time for retailer experimentation. We’ll be sure to follow iBeacon’s trajectory in retail over the coming months. 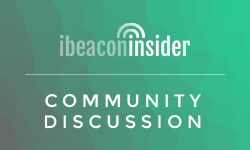 Let us know your thoughts on iBeacon and retail in the comments!